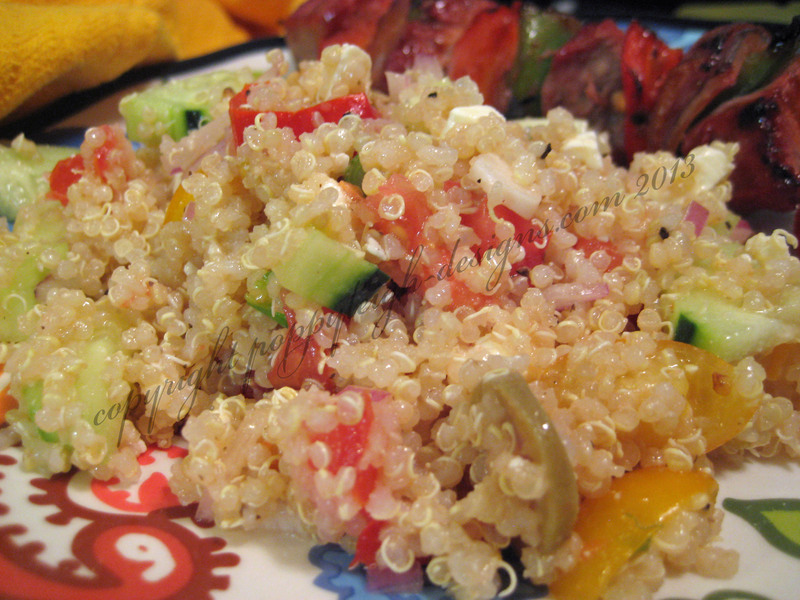 I love fresh summer salads, and quinoa is a great base for various types of salads with lots of yummy ingredients – a simple olive oil dressing is all that it needs. 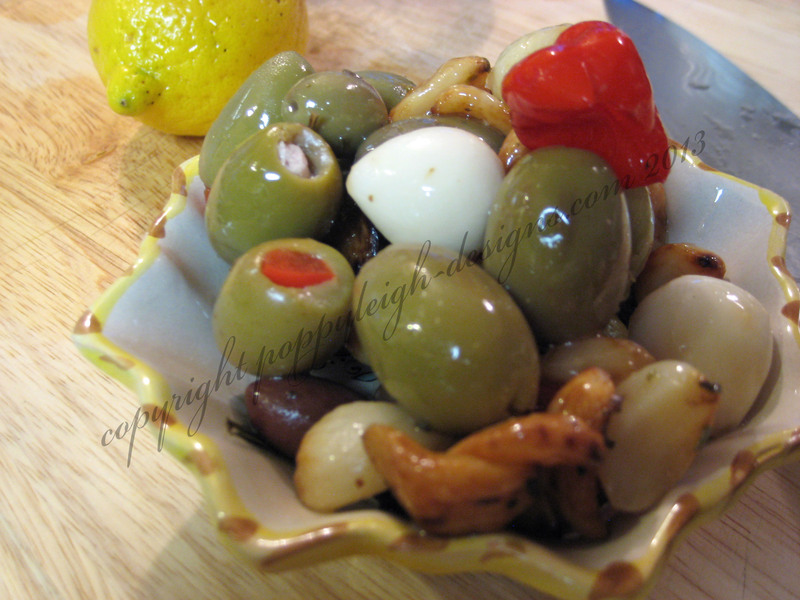 look at this great olive and garlic mixture! 1. Cook the quinoa according to the package instructions; let cool. 2. Juice the lemons. Slice the red onion, green onion, cucumber, the olive and garlic mix, and tomatoes. 3. Combine the lemon juice and olive oil and pour over the cooled quinoa. Add the sliced veggies and olive/garlic, salt and pepper to taste. 4. 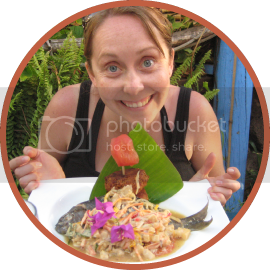 Serve cold with BBQ or any other main dish!